It's a crash course in WWE action like never before! 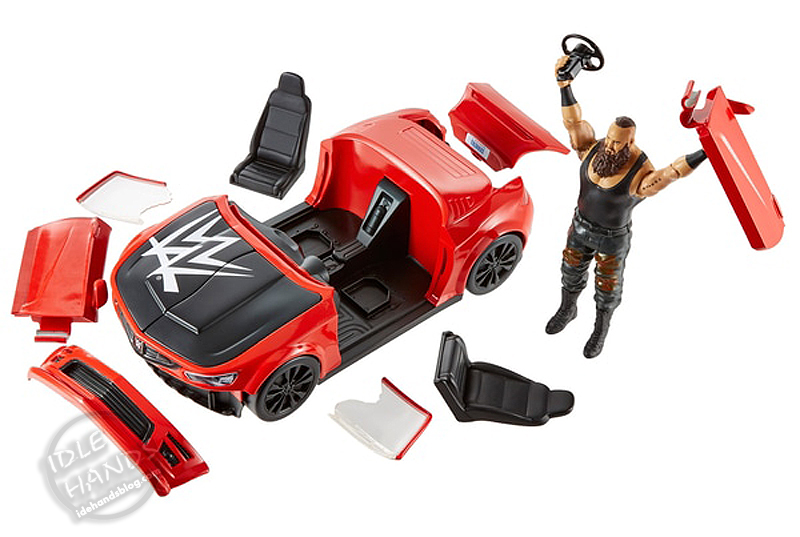 This WWE Wrekkin' Slam Mobile takes slammin' action out of the ring with this all-out awesome break-a-part vehicle featuring a sleek, sporty design with spoiler, cool rims and tires. 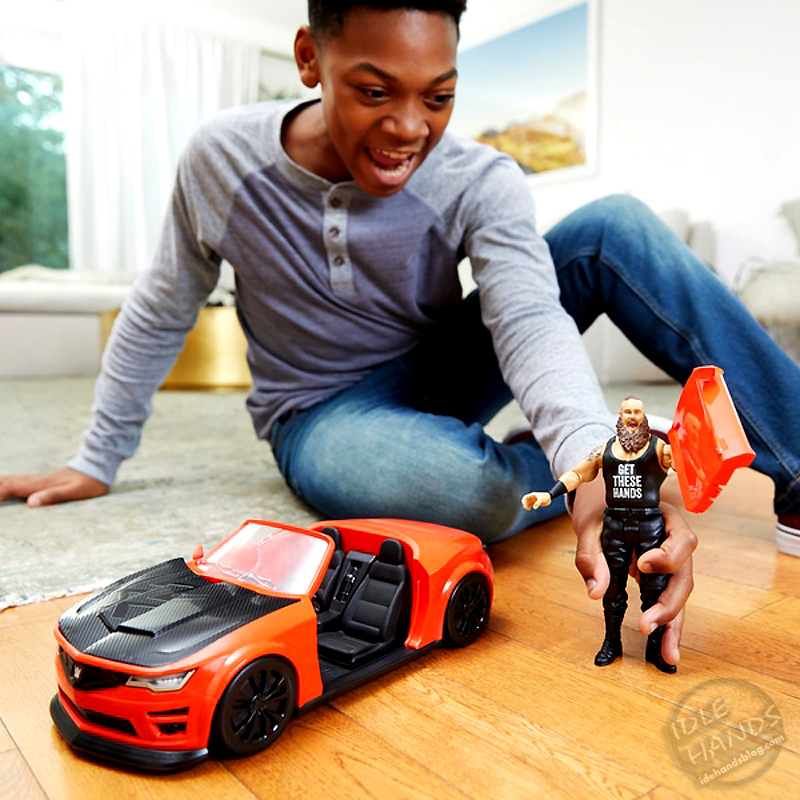 The action really revs up with the Slam Mobile's 10 breakaway pieces. 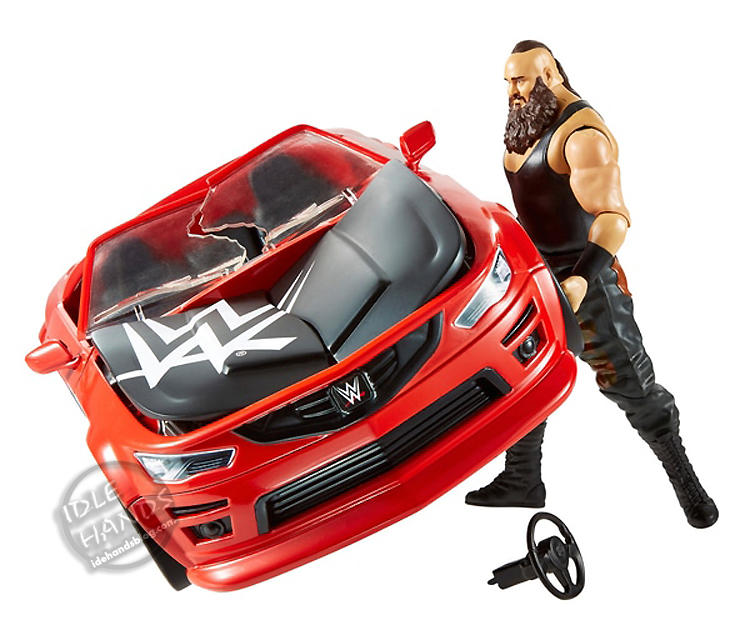 Start the crash and bash action by launching the Braun Strowman figure on or at the vehicle and watch the vehicle parts fly! You can also store WWE accessories in the trunk! Let's hope this is the start of more destructible vehicles and street items...and hell..is it too much to ask for NEW PLAYSETS??!! Please and thank you. 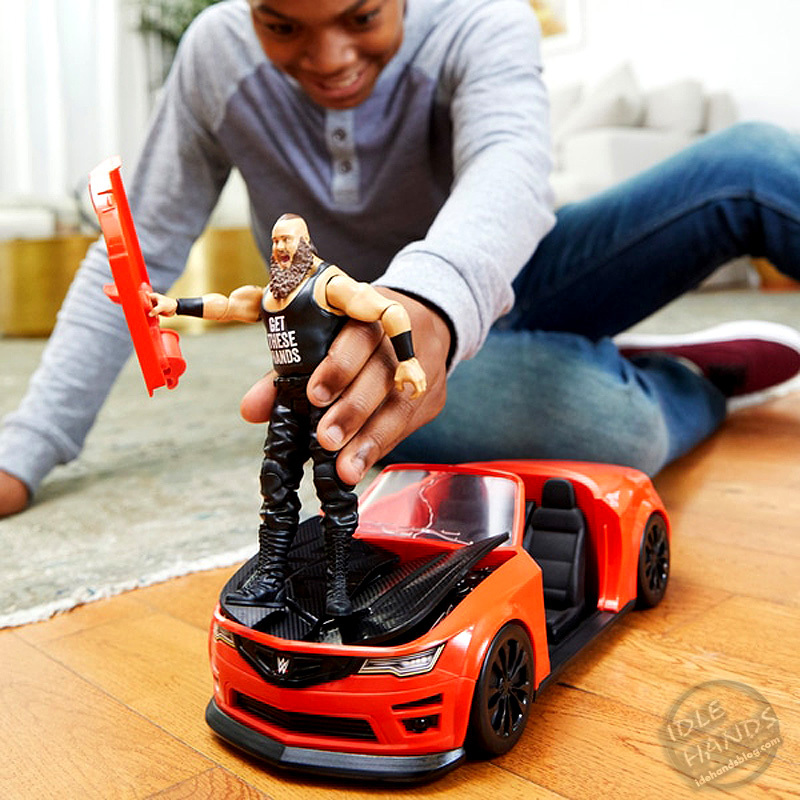 The WWE Wrekkin Slam Mobile is popping up in stores now.